100.0% positive (302) Perfect!!! Amazing seller!!!!!! 100.0% positive (1) Outstanding transaction. I received a beautifully-cared-for album that sounds amazing even on a low-cost turntable. Very happy to have it. 99.3% positive (153) Quick shipment, great item. 100.0% positive (47) Accurate grading, fast shipping. Great seller! 100.0% positive (119) Thank you! 100.0% positive (76) Excellent. Thank you! 100.0% positive (115) Excellent quality, hard-to-find collectable records, at a great price. Securely packaged and safely delivered with tracking in good time. Great seller. 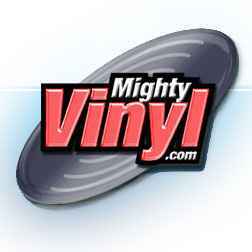 Thanks mighty vinyl! 100.0% positive (1) Just as described. Record came in safe and secure packing. Delivery was faster than expected! Would buy from again. 99.0% positive (616) Great price. Well packaged. Honest grading. = GREAT SELLER!! 95.5% positive (22) Honest, great pricing and fast shipping. 93.3% positive (30) love the item. great job. i've been burned on my last three items on discogs. 100.0% positive (108) fair grading and well packed! thank you so much! 100.0% positive (10) Limited edition accurately described, safely and promptly delivered! 100.0% positive (35) Excellent seller. Highly recommended. 100.0% positive (109) Great seller. Very highly recommended!! 100.0% positive (130) Anyone who chooses to buy from 'mightyvinyl', can look forward to being very happy with the efficient & high level of service and, quality in general, with whatever they order (Packaging- in particular- was very well done!). 66.7% positive (3) This record was in beautiful shape, like new! I'm very excited about it. Seller was quick. 100.0% positive (41) Excellent service. Recommended. Would buy from again. 100.0% positive (18) Nice collection of vinyl!! I had to jump on them fast. 100.0% positive (179) Quick response; fast shipping. Excellent service! 98.1% positive (160) Thanks much-it's excellent. 100.0% positive (2) Shipped quickly with great packaging! 100.0% positive (4) Awesome album! NOTE ABOUT SLEEVES: when "Generic" is used to describe the sleeve, this means I am providing in the ORIGINAL COMPANY SLEEVE. When "Not Graded" is used to describe the sleeve, I am supplying a plain white paper sleeve. When a grade has been applied, that means it comes in a PICTURE SLEEVE. For larger international orders, PLEASE ASK FOR POSTAGE QUOTATION - the postage rates noted may be higher than actual postage costs so please don't complete payment - ask for a postage quote and I'll reply with exact cost. Orders over $100 may require Registered Mail shipment at discretion of seller. NOTE: For larger orders, please request a custom freight quote.